Remarks: This beautiful 3 bedroom, 2 bathroom home is one you do not want to miss out on! This home is located in Ridge Creek subdivision, conveniently 15 minutes from Fort Leonard Wood front gates. The master bed is spacious with a great master bath with his and hers closets,dual sinks, and a jetted tub. Crown molding was also added into all the bedrooms. Kitchen, dining, and living room have solid hard wood floors and a wonderful open floor plan. Spacious deck with brick fire pit in the fenced backyard perfect for entertaining friends and family. The 2 car garage also a large storage closet and a built in work bench. This home also has a 220 switch for a 220 outlet that is located in the yard perfect for an RV hookup. Listed By: 5-3-1 Realty 314-241-5310 | Disclaimer: The information herein is believed to be accurate and timely, but no warranty whatsoever, whether expressed or implied, is given. Stay Informed! Get Your Copy of the Market Executuve Summary. All market research is real time. 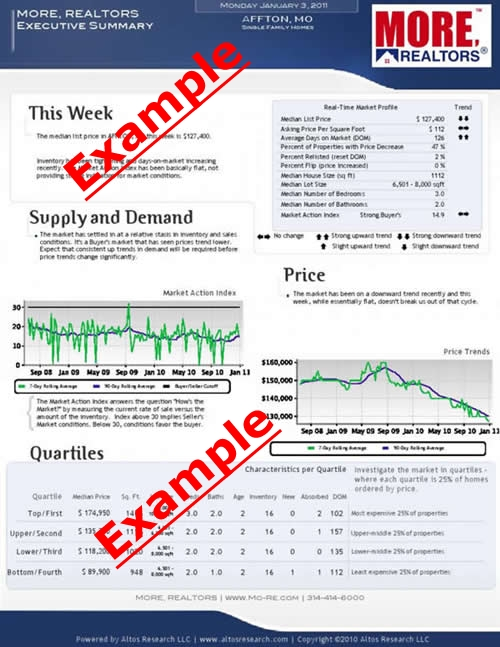 You will get more detailed market information than you find anywhere else. Learn about price trends, supply and demand, and leading indicators. Better real estate market information helps you make your decisions with confidence. It's FREE. No Obligation. Just register below to get your report today. 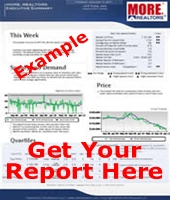 Real Estate Market Data Complete the fields below to get your report!